The granddaddy of them all, KillerBeerFest makes its triumphant return for the eighth consecutive year at Bailey’s Taproom. Our biggest event during Killer Beer Week has always been KillerBeerFest and this year’s event returns on Saturday, October 22nd from Noon until Midnight. Craft beer fans will have 12 hours to sample from over 30 curated taps of craft perfection. This year’s edition of KillerBeerFest is the largest one ever as we not only take over the 26 taps at Bailey’s Taproom but we are also invading its upstairs at The Upper Lip and its 6 taps. What we along with Bill Murnighan of Bailey’s Taproom came up with is quite an amazing list of beers. Bailey’s will be pouring some rare, out of market treats from legendary brewery Jeff Bagby and his Bagby Beer alongside fellow SoCal brewery Noble Ale Works. Then when you look at the small, yet well managed draft list upstairs at The Upper Lip, we even secured the best American-Style IPA for KBF with Bohdizafa IPA from Georgetown Brewing. And we here at Brewpublic do not forget about brewing history as we are one of the few to secure a keg of Pilsner Urquell Nefiltrovaný, its unfiltered and unpasteurized Pilsner. There are only a half dozen of these kegs in the country that arrived via plane this week. This is going to be some fresh Pilsner Urquell that is rated an impressive 99 at RateBeer. 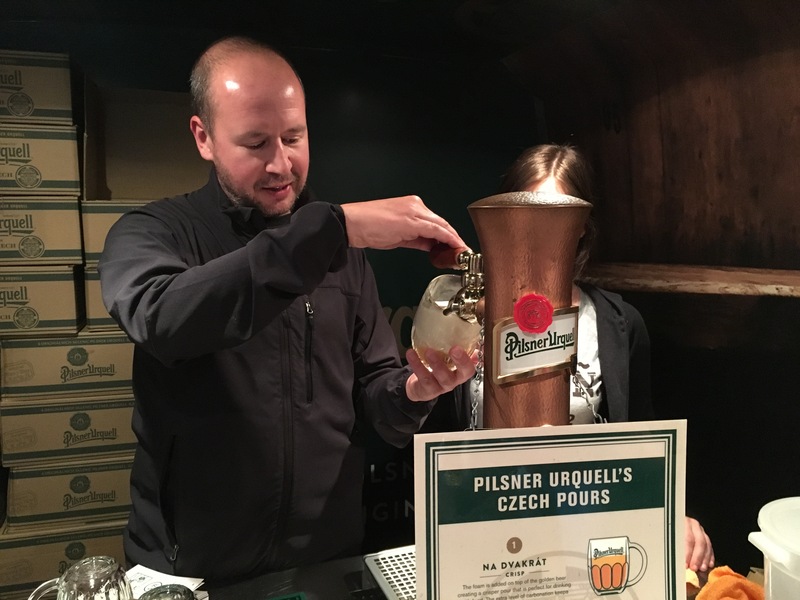 And just when you think this cannot get any better, we have Matt Geary, Trade Quality Manager – Pacific Region, from Pilsner Urquell setting up a special faucet that will pour Netrofiltraný three different ways; Na Dvakrat (Crisp), Hladinka (Smooth), and Mliko (Milk/Sweet). And if you have never had it Mliko style, please do yourself a favor and try it this way. Matt Geary of Pilsner Urquell pouring a fresh Pilsner in his custom van outfitted with a tap. 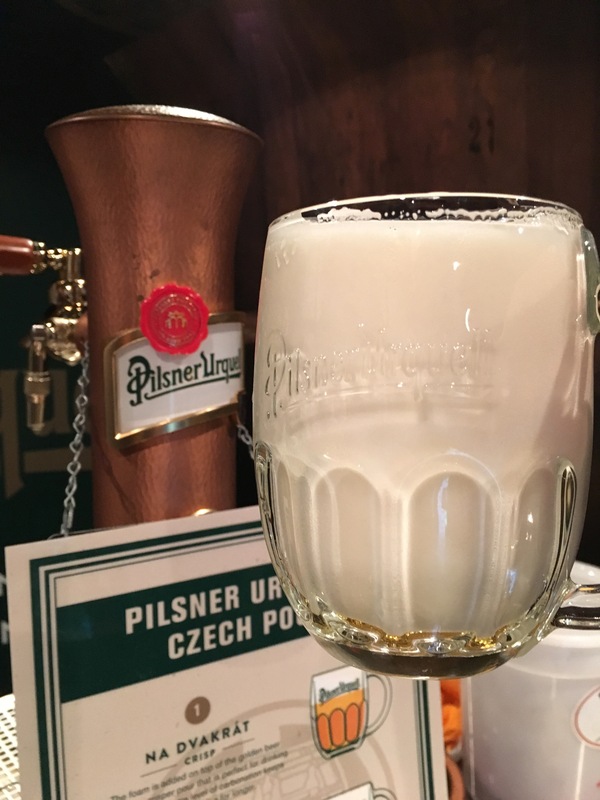 A fresh pour of Pilsner Urquell Mliko (Milk/Sweet) from its special faucet. 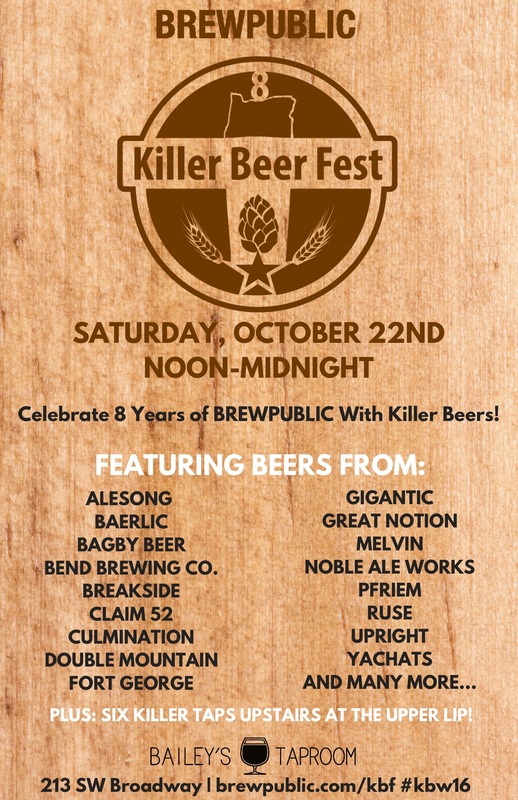 Without further ado, here’s one hell of a KILLER Taplist for KillerBeerFest 8.0 at Bailey’s Taproom and The Upper Lip! We hope to see you at Bailey’s Taproom and The Upper Lip on Saturday to celebrate another great year of craft beer!